We are Horsham Amateur Operatic and Dramatic Society, one of South East England’s premier amateur theatre companies and part of the cultural life of West Sussex for over sixty five years. We have a reputation for producing shows of stunning quality and originality, to great critical and audience acclaim. We perform two major musical productions every year, at the Capitol Horsham, a modern and fully equipped professional theatre, as well as plays and other entertainments. We’re hard at work getting ready for our next show – the classic musical Singin’ in the Rain. Be swept along by the classic romance, the stunning dance routines and the larger than life comedy moments. This perfect evening of entertainment comes straight out of the golden age of movie musicals. 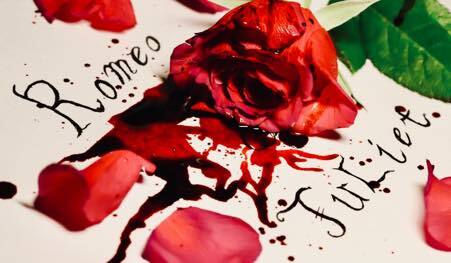 As part of the Horsham Year of Culture we’re preparing for a unique production of Romeo and Juliet, culminating in a one-off performance on the 1st of September at the Capitol theatre. Open to all over 12 in the Horsham area – not just HAODS members – the full cast will come together on the 31st August at the Capitol theatre to take part in stage craft exercises, rehearse and stage the play, all in one weekend. Our Autumn 2019 musical will be the classic musical adaptation of George Bernard Shaw’s Pygmalion. Watch this space for details of how you can get involved, or follow us on Facebook or Twitter or sign up for our mailing list below. With our own private suite of rehearsal studios, properties store, extensive costume wardrobe and full-height scenery workshop, our members have unprecedented opportunities to become involved in all aspects of its theatrical production, whether as performers, props and scenery builders, stage technicians and much more. We always welcome new members, so why not get in touch? Access the members area here for details of show logistics, socials and the HAODS house calendar. Are you looking for something else? You can get in contact with us below.